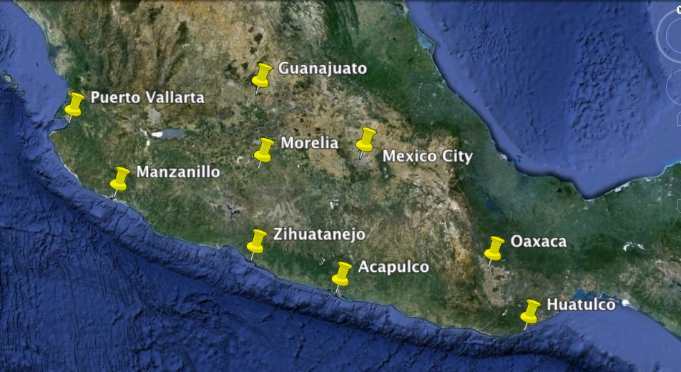 Mexico has four main cruising regions: Baja Coast, N. Pacific, S. Pacific and Sea of Cortez. 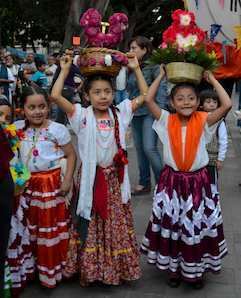 We have traveled the entire coast of Pacific Mexico by sailboat and have grown to love the people and the place. 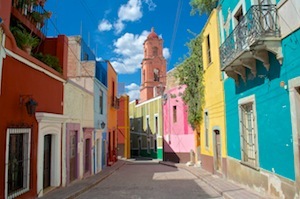 This page provides links to all the Mexico destinations where we’ve had our cruising adventures. The blog posts on this page are grouped by region and are listed in reverse chronological order (newest first). As you read each post, you’ll find links to the previous and next adventure at the top and bottom of each post, but they also wander off to other regions at the times when we flew home or went inland. 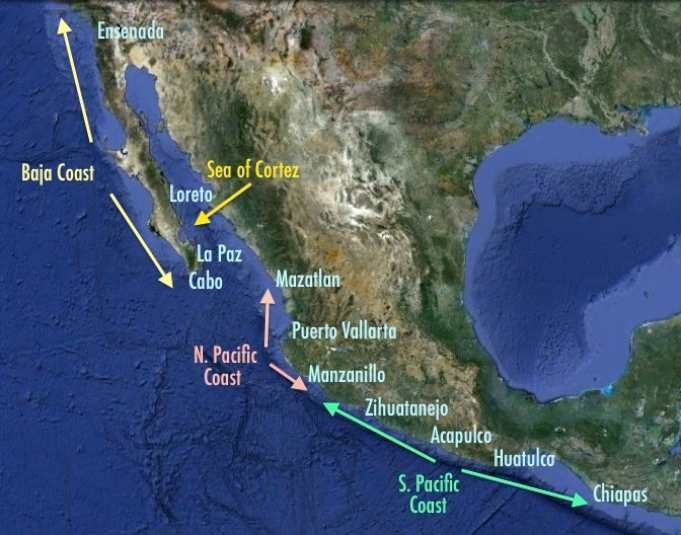 For cruisers considering a sailing cruise of Mexico, we have created nearly four hours of videos describing each anchorage in detail and offering hints and tips about the climate, weather patterns and navigation considerations in our video series “Cruising Mexico Off the Beaten Path,” which is available on DVD or by video download at this link. 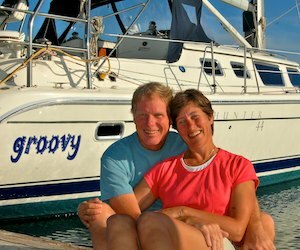 In the first half of 2010 we lived at Marina Coral & Hotel in Ensenada, Mexico, while we outfitted our boat for cruising. In the winter of 2010-11 we sailed down the Pacific coast of the Baja peninsula and explored the mainland coast as far south as Zihuatenejo and then went up into the Sea of Cortez. 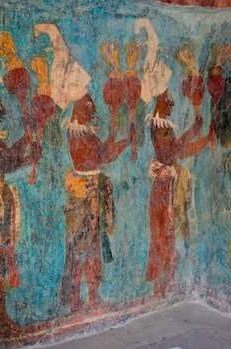 In the winter of 2011-12 we sailed down from the Sea of Cortez as far south as the Guatemala border and made several trips inland in southern Mexico. In the winter of 2012-13 we cruised from the bottom of Mexico up to Puerto Vallarta and then across the Sea and up the Baja coast to San Diego. If you are planning to take your boat to Mexico, you may also find it useful to peruse our pages under the menu item Cruising Lifestyle. 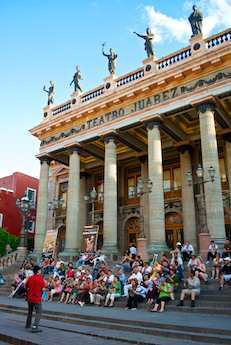 Lots of folks come down to Mexico on the Baja Ha-Ha, stopping in Turtle Bay and Bahia Santa Maria before reaching Cabo. We came down the slow way, stopping at almost every anchorage there is on that coast. It was cold up north (early November). We had kelp until Turtle Bay and fog in Bahia Santa Maria. We finally took off our foul weather gear during the day south of Bahia Santa Maria and were finally able to swim in Cabo (mid-November). 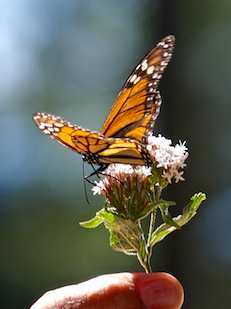 Ensenada is a fantastic destination and a great place to outfit a boat for cruising Mexico. The Baja Naval boatyard is top notch. With a TelCel Banda Ancha USB modem we were able to get internet access everywhere but Cedros and Belcher Cove (outer part of Bahia Santa Maria). 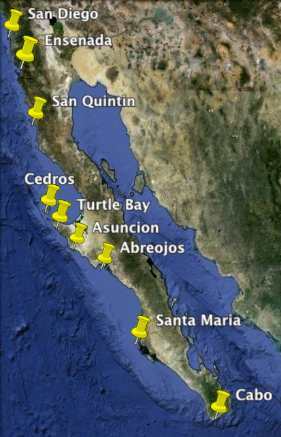 We describe all the anchorages on Baja’s Pacific coast in detail in our video Cruising Mexico Off the Beath Path – Northern Pacific Coast which is available as a DVD or video download at this link. This is a very popular cruising region. It has very mild weather patterns but the water is prone to red tide and is chilly in wintertime. On the Costalegre (“Gold Coast”), there is often a lot of air pollution from fires burning on shore, so skies are frequently gray. The anchorages are often rolly. 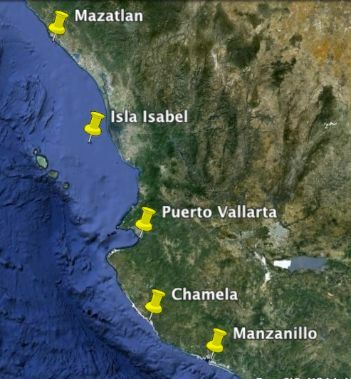 However, the marinas in Mazatlan and especially in Banderas Bay (Puerto Vallarta area) are wonderful. Banderas Bay is fabulous for day-sailing in the afternoons with tons of wind every day. It is worthwhile to spend time at both La Cruz (either at Marina Riviera Nayarit or in the anchorage) and also at Paradise Village Marina. Each has its own flavor, and both are delightful in distinct ways. La Cruz has a fabulous farmer’s market on weekends and fish market every day. Paradise Village has a glorious beach, swimming pools, hot tubs, free entertainment, and a true resort environment, which is pretty nice after roughing it on the boat for a while. Many cruisers never get further south than this region, and that is a shame because we found that the further south we went the more enjoyable the cruising became. Too often we’ve met cruisers who spent months or years in this area and then buzzed through the southern coast — Mexico’s best cruising — in just four to eight weeks. Spend time here, but we recommend allowing time to go further south too. 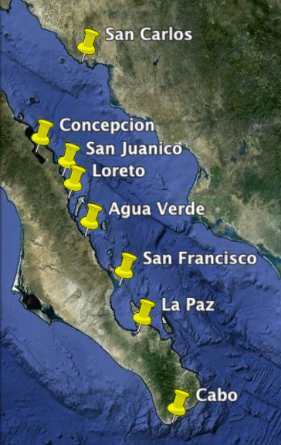 We describe all the anchorages on Pacific Mexico’s northern coast in detail in our video Cruising Mexico Off the Beath Path – Northern Pacific Coast which is available as a DVD or video download at this link. This region includes the “Costa Grande” and the “Costa Sur.”, and without doubt, for us, this area was the Best of Mexico cruising. The weather was mild and predictable, and the water was warm enough for swimming all winter long. All the blog posts listed on this page are in chronological order for each section. Some places we visited each year, and others we wandered in an out of. So, as you read the posts, many link together, but others don’t, because we flew home or flew back or went inland from the coast… However, hopefully you will get a feel for what each area is like. 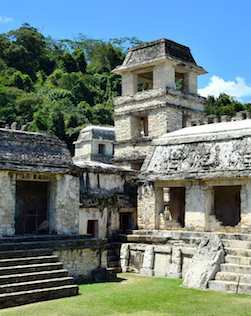 We describe all the anchorages on Pacific Mexico’s southern coast in detail in our video Cruising Mexico Off the Beath Path – Southern Pacific Coast which is available as a DVD or video download at this link. These are our blog posts from our adventures in Huatulco. This area is AWESOME, as it has some 25 anchorages or so in a 10 mile stretch of coast. You can anchor in solitude in nature, anchor in a gorgeous bay ringed by resorts or anchor off a little harbor village. The snorkeling is superb. The water is 85 degrees in January. 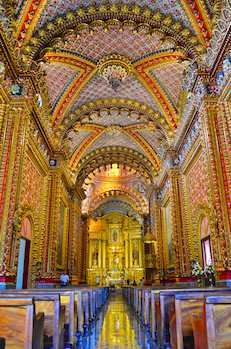 And there are tons of things to do off the boat, from eco-tourism to a day at a surf beach to inland trips to Oaxaca. We spent four months here all together, one month in the spring of 2012 and three months in the winter of 2012-13. Life on the Hook in Mexico – What do you do all day when you’re cruising in the tropics? 11/17/14Sailing off into the sunset on a cruising boat is a dream for many, but life afloat is not just umbrella drinks and suntanning in the cockpit. Huatulco Farewell – Fabulous Memories of a great stay 02/07/13After 3 months we finally said “goodbye” to Huatulco — and departure day came much too fast. Huatulco – Las Palmas Villas on picturesque Playa Violin – Gorgeous! 02/03/13Returning to Las Palmas Resort, we enjoyed breathtaking views, great snorkeling and gracious hospitality. Huatulco’s Villa Escondida – A beach bonfire with new friends 01/31/13We returned to La Bocana at the invitation of local property brokers and found true luxury at Villa Escondida. Huatulco on Wheels – The fun and funny vehicles of Huatulco Mexico! 01/24/13Huatulco’s warm climate and small size brings folks out on all kinds of crazy wheeled vehicles! Huatulco Underwater – Snorkeling with colorful creatures 01/13/13We snorkeled with spotted eagle rays. sea turtles, and lots of colorful fish and coral in the Bays of Huatulco, Mexico. 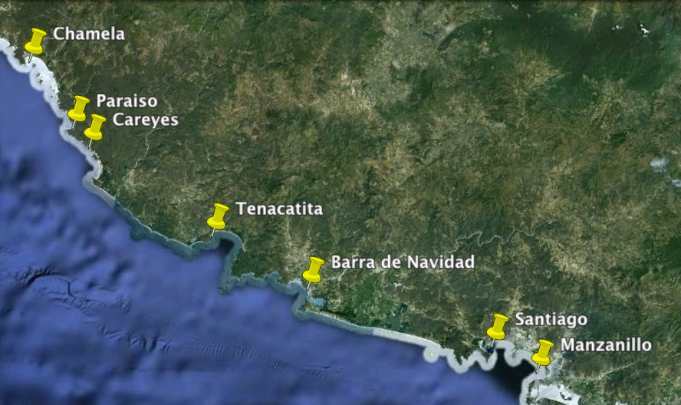 Huatulco Holidays – Delightful Seaside Christmas & New Year’s Celebrations in the Tropics 01/11/13December, 2012 – Huatulco’s towns of La Crucecita and Santa Cruz come alive with tourists and holiday celebrations. Huatulco’s Playa La Bocana – A visit to Huatulco’s Wild Side 01/04/13December, 2012 – We discovered Huatulco’s wild side at Playa La Bocana, where the breakers thunder and the birds soar. Huatulco’s Las Palmas Resort – 24 Hours in Heaven! 12/24/12December, 2012 – While anchored off Santa Cruz, we met the owner of Las Palmas Resort who gifted us with 24 hours in paradise. Huatulco’s Santa Cruz Bay – great beaches & a cute harbor village – Paradise! 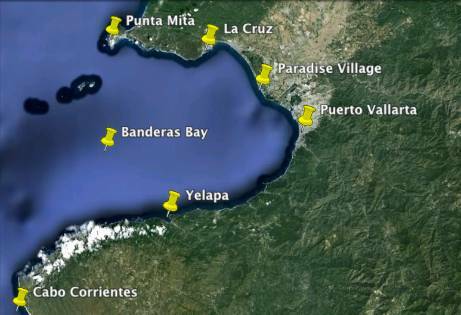 12/14/12December, 2012 – Santa Cruz Bay has a good (tiny!) 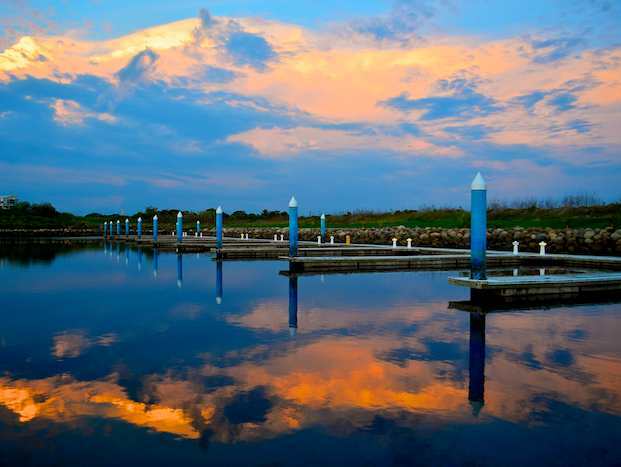 anchorage with easy access to 3 great beaches and a cute harbor village. Huatulco’s Hagia Sofia (2) – Hammocks, hills, waterfalls and a Oaxacan feast 12/11/12November, 2012 – After trekking through orchards and waterfalls at Hagia Sofia, we were treated to a Oaxacan feast. Huatulco’s Hagia Sofia (1) – Exotic fruits and tropical flowers in a lush garden oasis 12/02/12November, 2012 – Hagia Sofia is a lush 350 acre garden oasis filled with exotic fruit trees and stunning tropical flowers. 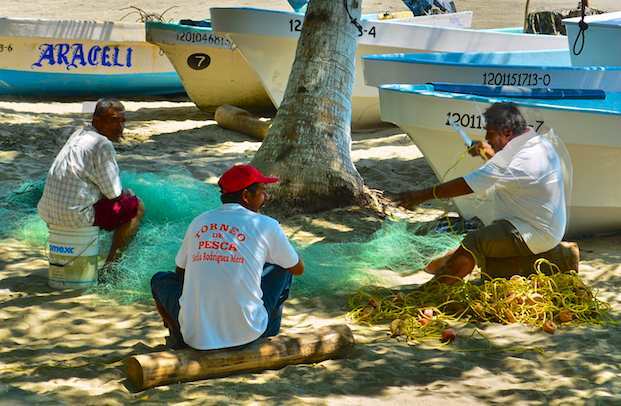 Huatulco’s Marina Chahué – Landlubbing with parrots! 11/23/12November, 2012 – The true highlights of our stay at Huatulco’s Marina Chahué, were the intriguing yachts and exotic bird-life. 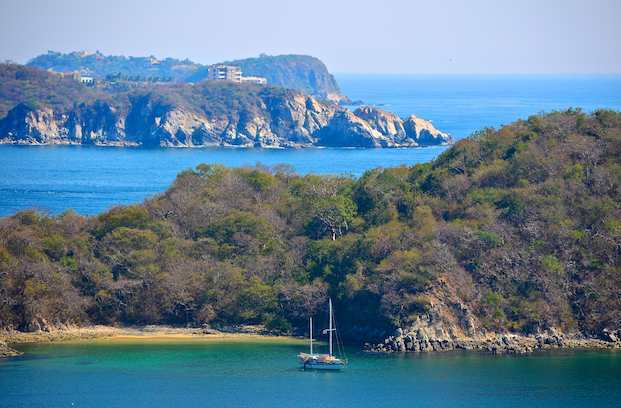 Huatulco’s Tangolunda Bay – Anchored inside a ring of luxurious tropical resorts! 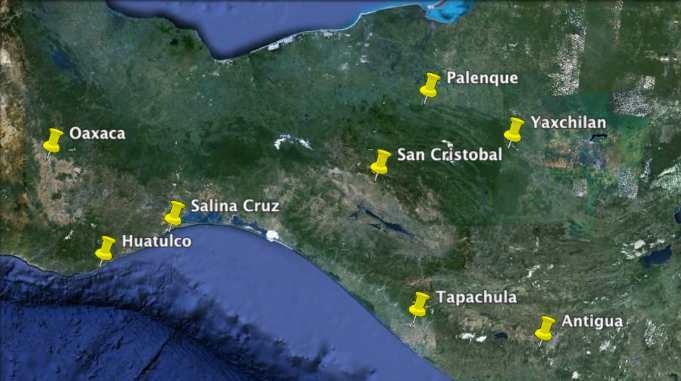 11/13/12November, 2012 – Beautiful Tangolunda Bay was the ideal place to recover after crossing the Gulf of Tehuantepec. The Sea of Cortez is beautiful but is a land of extremes. It has a foul temper when it comes to weather. The old adage says that for two days of sheer bliss you pay with one day of pure hell. Unfortunately, that is not far from the truth. Northers, Coromuels, Chubascos and other weather events with cute nicknames keep sailors on their toes. In between the nasty weather and choppy seas, this region is wonderful. It is too cold to swim between December and April, and you may want to run your cabin heater on winter mornings. The air temperature is an oven between July and October. The water is cool until June but stays warm enough for swimming until the end of November. The best times to cruise this area, we found, are late spring and early Fall. Generally, if the water is warm enough for swimming, the air is so hot you want to swim all the time! La Paz: Isla Coyote, Isla San Francisco & Isla Partida – Remote Islands 11/20/11 November, 2011 – Tiny Isla Coyote is one of the few inhabited islands in the Sea of Cortez, but its once vibrant community of 30 has dwindled to 1. Bahía Concepción & Punta Chivato – Great Sea of Cortez Anchorages 10/30/11 October, 2011 – Crossing the Sea of Cortez from San Carlos “the short way,” we found Punta Chivato very inviting. Bahía Concepción – From Fury to Fantasy in the Sea of Cortez 06/25/11 June, 2011 – After a violent spring Norther in Isla Coronado we found incredible beauty and serenity at Bahia Concepcion. Loreto: Fun times in Puerto Escondido and Loreto 05/23/11 May, 2011 – Puerto Escondido surprised us with an RV park and unfinished canals, while charming Loreto offered up a farmer’s market and special Dia de la Marina. La Paz: Ensenada Grande & Isla San Francisco – Stunning Anchorages 04/26/11 April, 2011 – Ensenada Grande and Isla San Francisco are gorgeous anchorages, and we enjoyed phenomenal hikes up to spectacular views in each place. La Paz: La Paz, Bahía San Gabriel & Puerto Balandra – Beauty & The Beast 04/24/11 April, 2011 – Bahía San Gabriel and Puerto Balandra are classic and gorgeous Sea of Cortez anchorages near La Paz, but Watch Out! Corumuels are Nasty! Pátzcuaro – A “Magical City” with a colorful outdoor market 03/05/13 With Groovy safe at anchor in Zihuatanejo, we explored Pátzcuaro, a “Magical City” in Mexico with a vibrant outdoor market. Huatulco’s Hagia Sofia (2) – Hammocks, hills, waterfalls and a Oaxacan feast 12/11/12 November, 2012 – After trekking through orchards and waterfalls at Hagia Sofia, we were treated to a Oaxacan feast. Huatulco’s Hagia Sofia (1) – Exotic fruits and tropical flowers in a lush garden oasis 12/02/12 November, 2012 – Hagia Sofia is a lush 350 acre garden oasis filled with exotic fruit trees and stunning tropical flowers. Have fun on your voyage and let us know how it goes! !